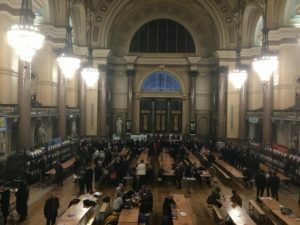 The toast at St George’s Hall was in celebration of real beer as the highly anticipated Winter Ales Festival returned to the city. The launch night hosted over 200 real ales and ciders alongside the very popular ‘Gin Garden’ with 25 boutique brands and tonics available for tasting. 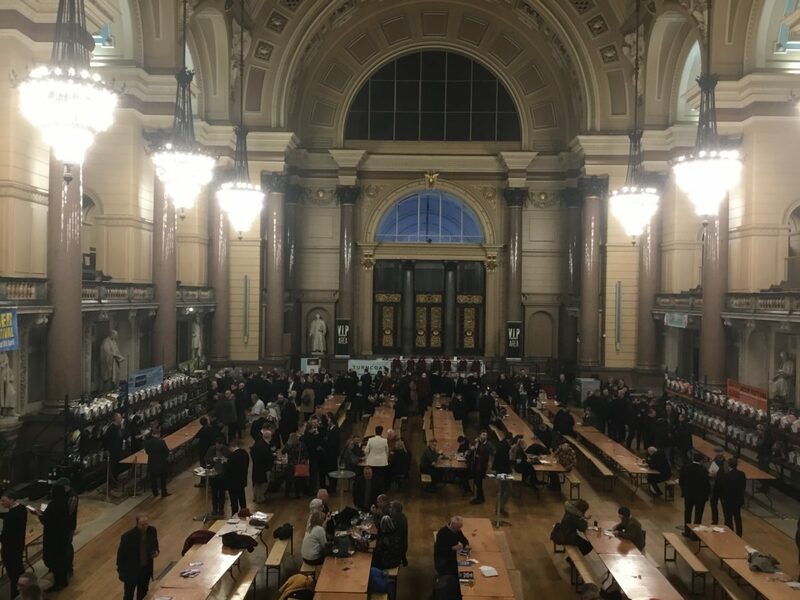 Following years of success in Liverpool, 2019’s beer festival marks the eleventh celebration inside the hall. Real Ale Events, the organisers behind the festival, told JMU Journalism they expected over 4,000 visitors during their three-day event. Sophie Ward, events manager, said: “We try and use different breweries all the time from across the UK so that everyone can experience different beers. “We have got the amazing venue here at St George’s Hall for our festivals. A lot of people come just for that. Because the glasses are only half pints, it gives people the opportunity to try things that they don’t necessarily do in the pub. To mark the end of the ‘Dry January’ pledge for some, Real Ale Events noted how previous years have not been as busy when they have been hosted earlier in the month. This year, the date of the festival was pushed back to allow punters to finish their new year’s resolutions and start February off with a drink. Alongside the typical beer and cider flavours, there was a chance for attendees to try drinks that you wouldn’t typically find in a pub, such as the Carolina Reaper Chilli Stout and the Chocolate Fudge Stout.